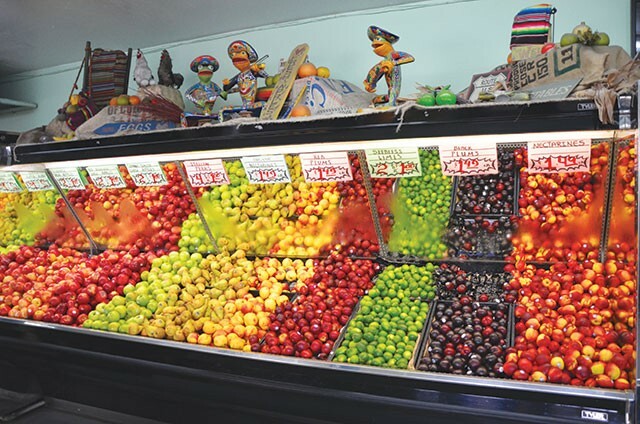 With its intoxicating aromas of fresh fruit and its farm-stand appeal, Chicho Boys has a rare, nostalgic quality that’s driven home by hard-to-beat prices on produce. Although we’ve arrived with a full-on list in hand (especially when cooking for a crowd is in the cards), the Westside gem lends itself to those who just show up to see what looks good. While you won’t find many outlandish offerings (you’ll need to shop elsewhere for pluots, fiddleheads and Romanesco), Chicho Boys stocks a lot more than the basics (turnips, Bosc pears and asparagus are all in the bins) and posts weekly specials on its website. Stopping in on a recent Saturday, we picked up a pound of portobello mushrooms for $3.99 (a full dollar less than you-know-where) and a bountiful, fresh-cut fruit cup for $2.49.